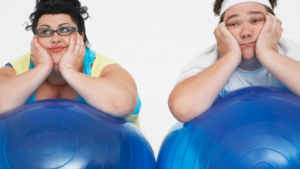 I bet that every time you ask for weight loss advice you get the same answer – you need to increase physical activity. Sorry to disappoint you, that’s true. You need to burn calories if you want to lose those extra pounds. So, I will show you the best exercises for weight loss. First, let’s divide these exercises into 2 groups: cardio exercises and weightlifting exercises. Cardio training (or aerobic training) is the most efficient way to get rid of fat layers and to become and stay fit. The term aerobic refers to the extended medium intensity training with higher consumption of oxygen (the cardiorespiratory system can compensate oxygen in your muscles). Any type of exercise which makes your heart reach 60-85 % of the maximum heartbeat is called cardio training. When your heart’s work is in that range we are talking about cardio or aerobic training. Your cardio training should last 30-60 minutes for best results. 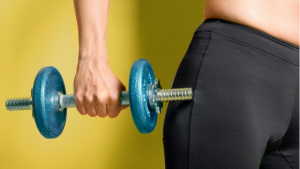 And, what are weightlifting exercises? As the name suggests, exercises which involve lifting weights which you can do at the gym, or at home. Now, let’s see the best exercises for both groups. Running is a sports activity available to everyone. To do this activity you need goodwill and a pair of sneakers. Many point out that running is the cheapest, but the most effective physical activity you can do. You can reduce fat layers, cellulite, and become healthier and happier. Running for half an hour burns about 200-500 calories, and when you increase the intensity and time of running you can increase the number of calories you burn. This cardio exercise is one of the healthiest ways to lose weight and at the same time breathe fresh air which positively affects your heart and your overall health. If the weather conditions aren’t suitable for cycling outdoors, you can always use a stationary bike at home or at the gym. HIIT includes intermittent intervals of high-intensity exercising followed by resting and recovering. It gives better results than classic long-lasting cardio training when it comes to burning fat since it uses sugars during the intensive part of the training and it fights stored fat layers during the recovery interval. Your metabolism burns fat even 24 hours after your high-intensity interval training. HIIT can be a combination of sprints and medium pace running, high-intensity running and jogging, walking etc. You can plan your training according to your current physical fitness. Try to do 1 minute of high-intensity running followed by 2 minutes of medium pace or slow running. In my opinion, Crossfit is a great method of training. It helps you achieve several goals- you can lose weight, get fit, and increase your muscle mass. The Crossfit training is based on basic moves such as running, pushing, jumping, and climbing. It’s recommended to start CrossFit when you are in a good physical fitness. This is #1 exercise when it comes to weight loss. Squatting can help you tighten your thighs and abdomen (it’s good for men since it increases testosterone, as well). In the beginning, try to do 20 reps. Position your legs shoulder-width apart, put your arms on your waist and keep your back straight. Inhale and squat down as low as possible. Exhale as you stand back up. Keep everything tight and don’t forget to breathe. As you become fitter, add weight. This exercise is most common at the gym when you want to tighten your whole body. You can do it at home, too. If you are starting out, do it without weight. Later on, consult your trainer about the weight you can add. Cliff Thomas is a founder of MusclesMagician, a website about fitness, bodybuilding, and weight loss.